From two to two hundred, let us provide you with elegant and unique cuisine. Although Suzette’s Creperie is a French-inspired bistro, bakery and caterer, we will prepare other entrées, even favorite family recipes. 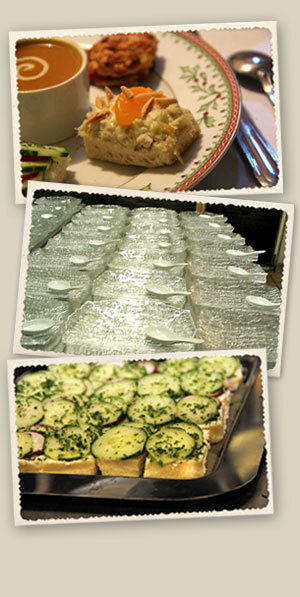 They will be prepared with the same care and fresh ingredients that we demand in all our recipes. Please discuss your wishes with our catering manager. Delivery is available for orders of $200 or more to Wheaton and adjacent suburbs. Delivery charge is 10% of the beverage and food total. Outside of this area, an appropriate additional charge will be added. Bartenders are available at $50 per hour per bartender with a minimum of four hours. 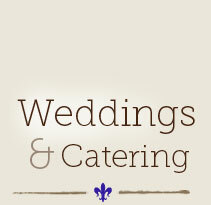 Our Executive Chef is available for private parties and setting up events. This charge is $75 per hour. 50% charge for cancellations less than one week before the event. Serving dishes, warming trays, chafers and utensils are available beginning at $12–$15/unit. 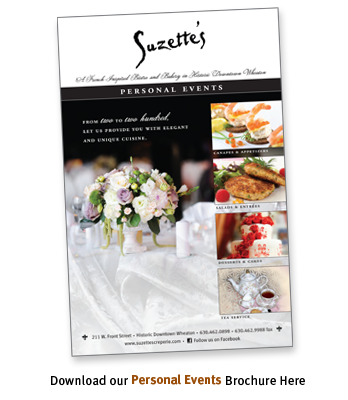 Call us at: 630.462.0898 to arrange your catering or tea service by Suzette’s, or for more information.